Ramona, a single mom from Lorain, Ohio had been living in strife for seven years without any heat in her home. Her nearly 100-year-old home was in desparate need of major repairs, including a new boiler, but the expenses were beyond her meager budget. Ramona looked to Lorain County Community Action Agency (LCCAA) for help. She applied for the Home Weatherization Assistance Program (HWAP), praying for a miracle. The Home Weatherization Assistance Program was established in 1976 in response to the 1973 oil crisis to save on imported oil and to assist low-income families and senior citizens who were hit particularly hard by rising heating costs. The program, which serves families below 200 percent of the poverty level, operates in all 50 states and since its inception has weatherized more than 7.1 million homes nationwide and more than 59,000 in Ohio. The program provides low-income families with an average savings of 35 percent on their energy costs, or $437 annually. This is significant when you consider that low-income families spend upward of 15 to 20 percent of their total monthly income on energy costs. In 2010 alone, HWAP saved low-income families $2.1 billion. That money can be spent on other necessities, such as food, clothing or healthcare. The program also helps reduce carbon dioxide emissions by 2.65 metric tons per year per home and decreases national energy consumption by the equivalent of 24.1 million barrels of oil annually. In addition, every $1 million spent creates 52 direct jobs and 23 indirect jobs. In Ohio, it has created 400 skilled jobs and numerous other subcontractors and suppliers benefit from the work. Ramona’s prayers were answered when Bob Hilliard, HWAP inspector for LCCAA came to inspect her home. “When I entered Ramona’s multi-unit home, it still had its original boiler and at first sight, I knew this was a serious health and safety issue,” Hilliard said. The HWAP staff returned to her home and installed a new boiler, replaced a broken window, and insulated the entire home. Ramona also received a referral to LCCAA’s Emergency Home Repair (EHR) program. The EHR program paid for the replacement of rotted doors and a broken kitchen sink. 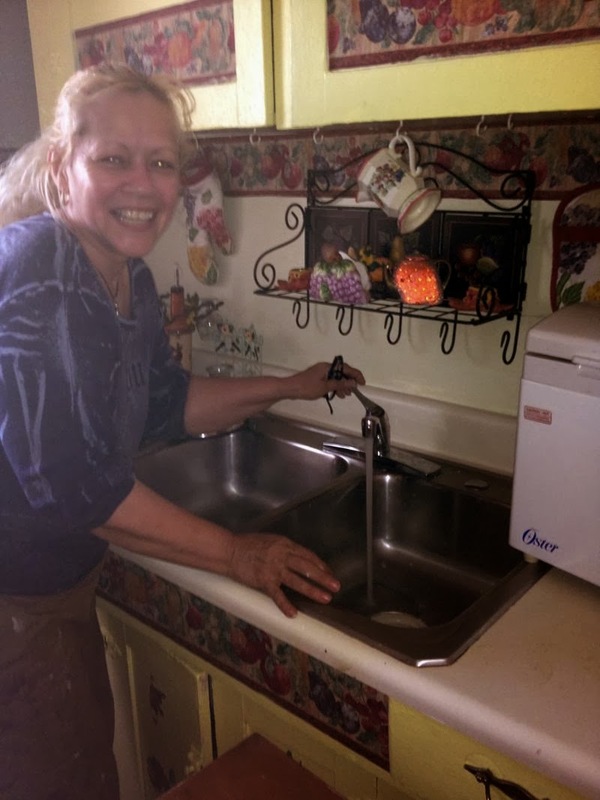 In addition to having her heat back and the safety of her home increased, with the repairs done, Ramona plans to rent the additional units in her home in order to generate additional income for her family. October is national Weatherization month. Many Community Action Agencies throughout Ohio offer this valuable program and this is just one example of how much HWAP helps people in need. For more information about LCCAA’s HWAP program click here and for information on their EHR program, click here. For more information on Community Action programs in your area, visit www.oacaa.org. Note, not all Community Action Agencies offer HWAP or home repair programs.